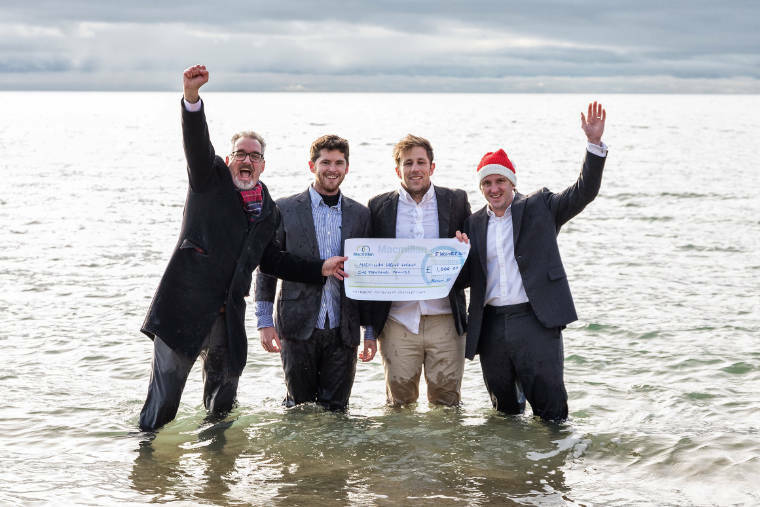 Macmillan Caring Locally encourage people to ‘brave the dip’ and charge into the sea in the name of charity and this year, one of Dorset’s leading law firms, Preston Redman, has donated £1,000 towards the festive fundraiser. Now in its 10th year, Macmillan Caring Locally’s annual fundraiser has become an eagerly anticipated community event for supporters of the Christchurch-based charity and yuletide adrenaline seekers. It will take place on Christmas morning at 10.30am at Boscombe Pier. Preston Redman’s donation to Macmillan Caring Locally marks the law firm’s latest charitable gesture. To mark the fundraising event’s milestone 10th year, the organisers are aiming to raise £50,000 for Macmillan Caring Locally. As such, for the first time, they are encouraging dippers to get a team together, coordinate outfits and a theme for each team. Over 1,000 participants are expected to take the plunge on Christmas morning. Macmillan Caring Locally is a charity based at Christchurch Hospital that provides specialist palliative care to patients with advanced, progressive, incurable illnesses with complex symptoms. Over the nine years that White Christmas Dip has been running, the event has raised a fantastic £130,000 for the Christchurch charity.